Discussion Valid email addresses entered for download requests being rejected. Valid email addresses entered for download requests being rejected. 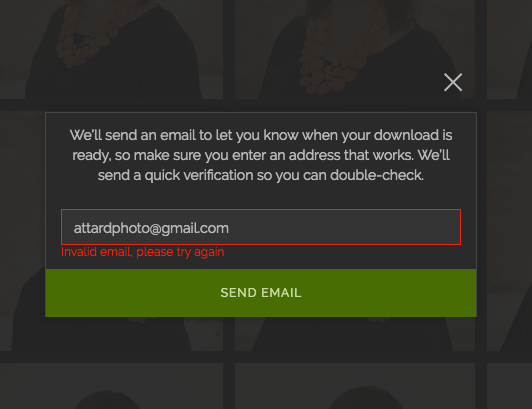 Valid email addresses entered for download requests being rejected.even tho ok. Is this temporary? Sometimes it happens to my clients when they copy/paste their email into space. In this way, by trying personally, I saw that you create an empty (unwanted) space on the left of the first letter. In your case, before the "a". Does this problem always happen to you, even if you write manually the email? Thanks SDB but there's no gap and I've tried with a coule of different emails. I tried...in this case try to contact the support.